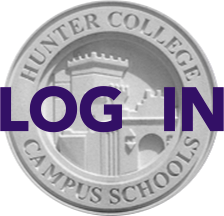 HCHS Families are invited to attend the Summer Pre-College & Enrichment Fair this Saturday, Nov. 17, from 10 am-1 pm at Columbia Secondary School for Math, Science and Engineering, 425 West 123rd Street. At 10:45 am there will be a seminar on Selecting and Financing the Best Fit Summer Program. 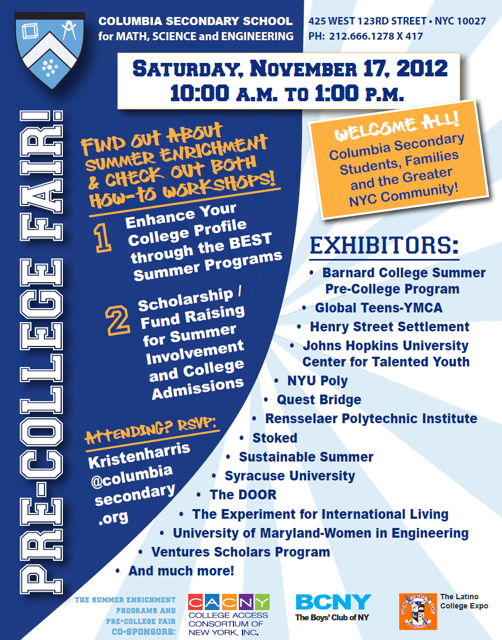 RSVP requested to:kristenharris@columbiasecondary.org, the Director of College Guidance at CSS. Click here for more details.